GlovePlus Powder Free Vinyl Disposable Gloves are industrial grade, made from PVC vinyl, so those with latex allergies can rest assured because they are latex free. 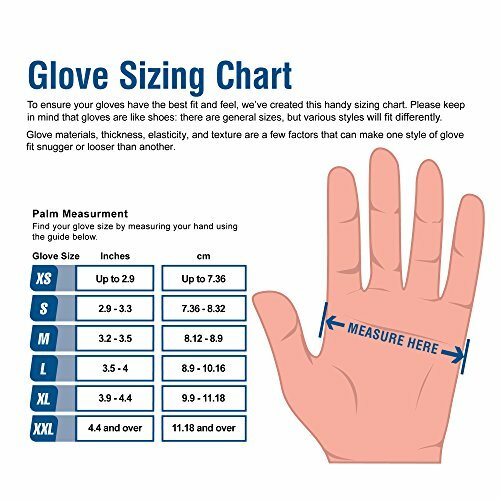 These select quality vinyl gloves feature excellent sensitivity in the palm and fingertips, as well as a smooth fit and feel. They are powder free, so when creating a seal, or working with wet paint, you won’t have to worry about messy powder residue. 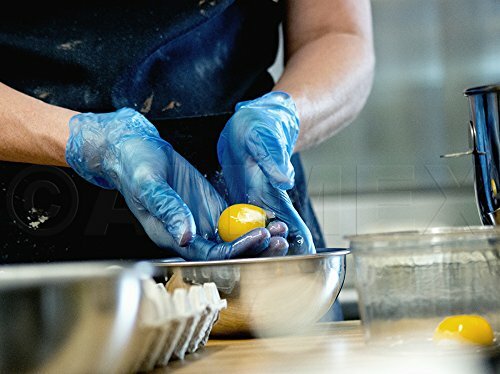 Vinyl gloves are more cost effective than latex or nitrile while offering the appropriate tear and puncture resistance for industries where they are used. 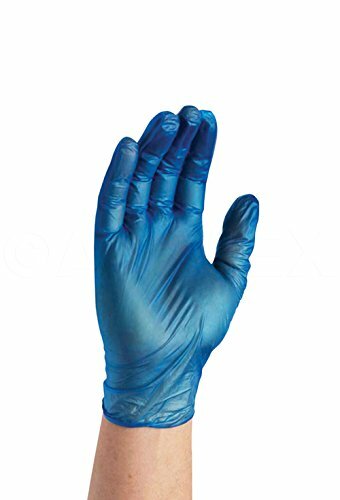 Vinyl gloves are popular in the janitorial and sanitation, painting, beauty, food service and food processing industries. In food processing application, this blue glove can be easily spotted in baked goods and other finished food products. 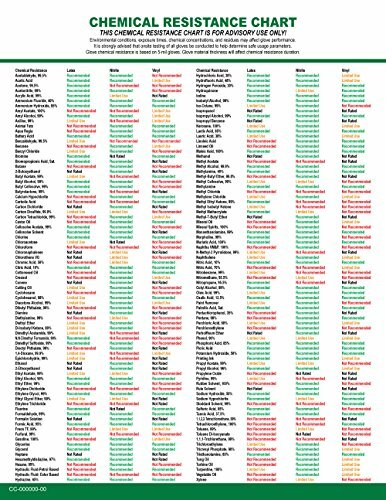 Around the home, these vinyl gloves can be used indoors or outdoors, in the kitchen or garage for cleaning, home maintenance, painting, yard work, pet care, arts and crafts. The best industrial grade vinyl gloves for the price on Amazon prime. 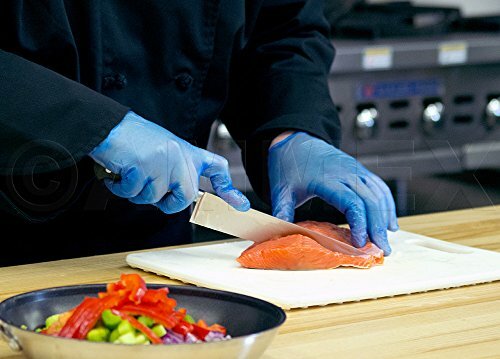 Blue vinyl gloves are good for food service, janitorial, and other light industrial applications. Vinyl is a synthetic material made from polyvinyl chloride (PVC). It is less elastic than nitrile and latex, giving it a looser fit and a smooth, comfortable feel. It helps prevent allergic reactions to latex proteins.